Cedric Mullins went 0-for-4 at the plate and struck out once as the Orioles beat the Red Sox by an 8-1 score on Monday. 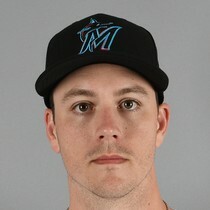 Mon, Apr 15th Marlins third baseman Brian Anderson went 1-for-4 with a double in Wednesday's loss to the Chicago Cubs. 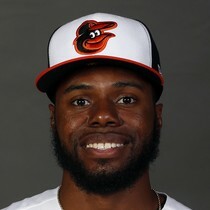 Cedric Mullins went 0-for-2 at the plate with two walks as the Orioles lost to the Athletics by a 10-2 score on Wednesday. Thu, Apr 11th Marlins third baseman Brian Anderson went 3-for-5 with a solo home run in Saturday's win over the Philadelphia Phillies. The homer was his first of the season. Cedric Mullins was 1-for-2 at the plate with two runs scored on Saturday as the Yankees beat the Orioles by a 6-4 score. Sun, Apr 7th Marlins third baseman Brian Anderson went 2-for-3 with a walk in Thursday's loss to the Cincinnati Reds. Cedric Mullins did not get the start on Saturday but came in to pinch hit and finished 1-for-2 with a run scored as the Orioles beat the Yankees by a 3-1 score. Sun, Mar 31st Marlins outfielder Brian Anderson went 0-for-4 with two strikeouts in Sunday's loss to the Atlanta Braves. Fri, Mar 15th Marlins outfielder Brian Anderson went 2-for-5 with an RBI in the team's loss to the New York Mets on Tuesday.